Cape Town – In responding to Finance Minister Pravin Gordhan’s bid to prevent him from intervening with banks on their behalf, the Guptas seem to have put the focus on politics. The Gupta-owned Oakbay Investments’ press statement summarises the main points of an affidavit that it will file on Friday in response to Gordhan’s October 2016 court bid to get legal protection against intervening in the bank blacklisting of the Guptas. While a court – expected to hear the matter in March – will have to determine whose argument is correct, Fin24 has examined the Oakbay’s press statement and, at times, has compared it to what the various parties have said publicly, in court papers and in Parliament. The minister’s superfluous application is riddled with factual and legal errors. The minister’s reliance on the list of 72 purported “suspicious transaction reports” is misplaced and the minister’s application is supported by a flawed analysis and a faulty factual record. The allegation of factual and legal errors will need to be tested in court. The minister’s reliance on suspicious transactions was used to back his claim that he could not get involved in a matter that was being investigated by the Financial Intelligence Centre, which is investigating banking transactions involving almost R7bn. Treasury, responding to Oakbay’s statement in October 2016, said after “the numerous attacks launched by the lawyers representing the Oakbay” that “the affidavit by the minister has not made any pronouncement or interpretation on the FIC report and has sought solely to put the material facts before court”. Oakbay has never suggested that the minister is required to intervene in the bank-customer relationship. There is no contested legal issue here and there is never any reason for the minister to bring this application. 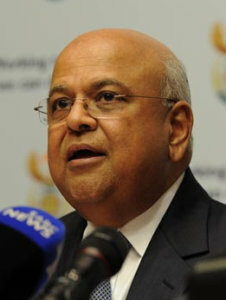 Gordhan was also politically pushed to intervene when President Jacob Zuma launched the inter-ministerial committee to engage banks over the matter. While Gordhan was made a part of that team, he never participated in the meetings that took place between Mines Minister Zwane and the banks. The minister could simply have declined to do anything in the exercise of his legal discretion. Instead, he has asked the court to confirm that he does not have to do anything. The minister has essentially asked the court to insert itself into the functioning of the executive branch. It would be bizarre if every empowered government official receiving a request for assistance or counsel, races to court to seek a declaration that he/she does not have to act on the request. By going to court, Gordhan forced the banks to declare their reasons for closing the Guptas’ bank accounts. They were legally not able to do so due to confidentiality agreements and Gordhan’s application lifted this legal barrier. “We welcome the announcement by Oakbay respondents that, they intend to oppose the application after their unsuccessful attempt to coerce the Minister into withdrawing the matter. This will provide an opportunity for all issues to be properly ventilated in an open court,” National Treasury said in October. If the Court were to countenance the minister’s application for guidance, it would open the floodgates for other weak-kneed political officials who are too scared to take positions on sensitive political and policy matters and would make the judiciary a maker of political judgements. This application is an abuse of court and an effort to involve the independent judiciary to settle political scores. 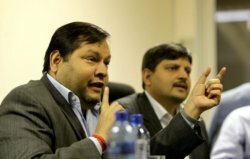 The Guptas seem to be saying that the bank blacklisting is a proxy for a political fight between the two factions of the ANC, which could be true, but it could also be a distraction from why the banks actually closed their accounts in the first place: The suspicious transactions involving politically exposed people and due to the FIC investigation into the 72 transactions. Regarding the 72 “suspicious transaction reports” allegedly reported to the Financial Intelligence Centre (FIC) and highlighted in the certificate provided to the Minister by the FIC, the FIC’s release of this information to the minister was unlawful in itself. “We can categorically state that the FIC has never, since its inception, given copies of reports on suspicious or unusual transactions to investigators, politicians (including the Minister of Finance who is the Executive Authority responsible for the FIC) or any other person, or allowed any such person to access to such reports. Any suggestion of such allegations is incorrect. The Minister’s application contained a certificate from the FIC and not the actual, confidential suspicious and unusual transaction reports. “Unlawful access to such sensitive information has serious ramifications, including possible criminal liability. In addition to private information of individuals, a report on a suspicious or unusual transaction also contains other highly sensitive information such as details about who reported the transaction and the reasons why the reporter considered the relevant transactions to be suspicious or unusual and therefore submitting it to the FIC. It would appear Gordhan also knows what information the FIC can and cannot provide him legally. In a response to a Parliamentary question about whether the FIC had alerted the police to these transactions, Gordhan said “the FIC is not able by law to provide such information to the minister of finance”. “Provisions in the FIC Act place strict limitations on the public disclosure of details concerning information reported to the FIC and its activities concerning such information, which prevents it from acknowledging whether it has, or has not, provided information to an investigating agency or any other competent authority. “The information contained in the certificate dated 4 August 2016 as submitted by me on 14 October 2016 to the High Court (Gauteng Division, Pretoria), numbered 1 to 72, refers to reports submitted to the Financial Intelligence Centre (FIC) by various institutions pursuant to their legal obligations under section 29 of the Financial Intelligence Centre Act, 2001 (Act No. 38 of 2001, the FIC Act). The timing of the minister’s application supports the Oakbay Group’s suspicions that the application is politically motivated and is part of the minister’s ongoing plan to diminish the Oakbay Group and the Gupta family and to damage their hard-earned South African business. 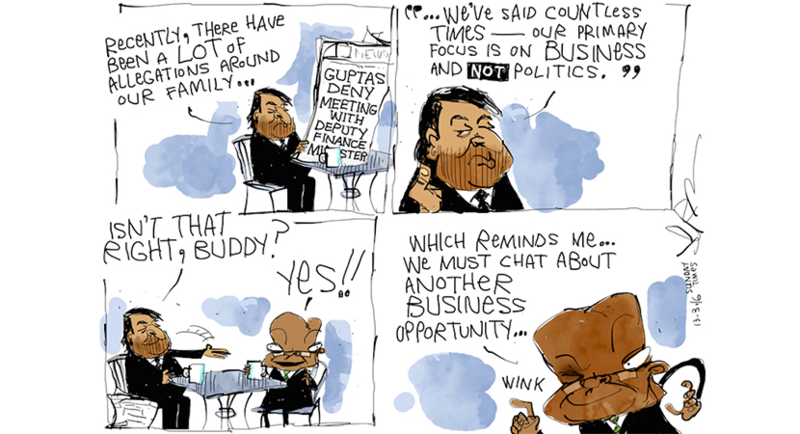 The Guptas have never themselves taken anyone to court over allegations of state capture and corruption stemming from their close friendship to President Jacob Zuma. In addition, the SAPS, Hawks or NPA have also not shown any willingness to pursue a case of corruption against the family. 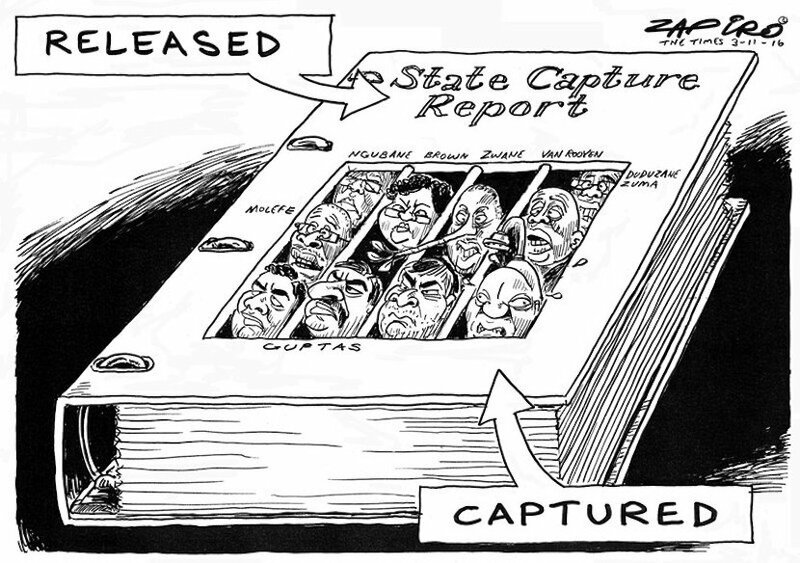 The closest the country got to the matter of state capture being resolved was former Public Protector Thuli Madonsela’s State of Capture report, which recommended an inquiry be launched into the matter. Zuma is seeking a court ruling to prevent him from launching this. 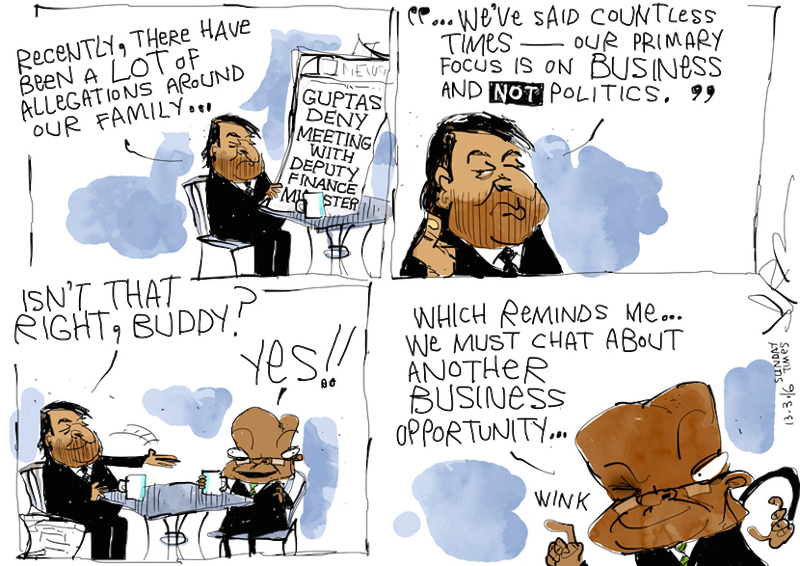 The application by the minister is therefore the closest the Guptas have got to answering allegations of corruption.